1). High quality vegan leather, 100% handmade durable and stylish. 2). 1 ID card window; 1 card holders; 5 large slot for business cards or name cards. 3). 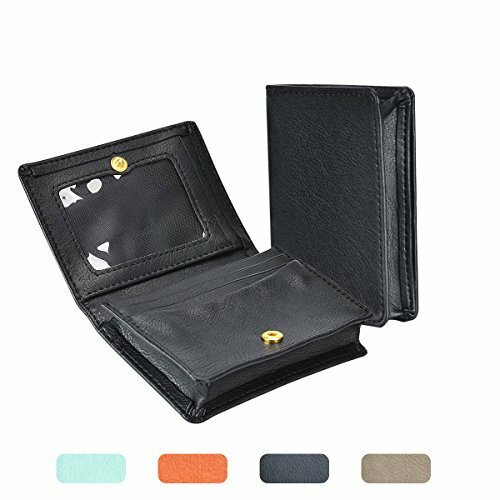 Ultra slim professional business card case or wallet. compact design for front or back pocket wear. 4). Minimal. Simplified construction carries up to 4 cards and cash comfortably in your front pocket. 5). Dimensions(LxWxH): 4.33*2.76*0.87(inch). LOEL wallets make bulky wallets a thing of the past. 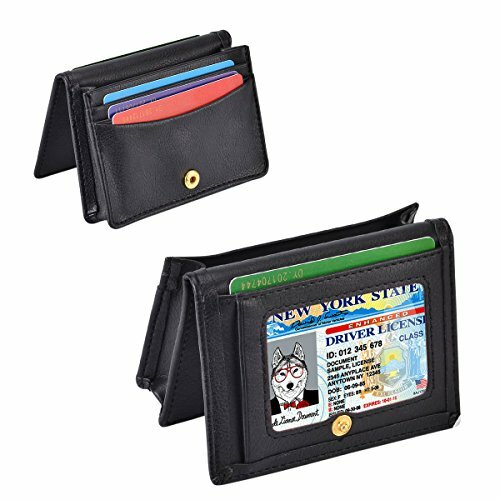 Use the convenient outside pocket for your most essential card and store up to 4 more in the internal pocket. The slim card sleeve wallet isn’t just for cards. It also is excellent for storing bills as well! Use the inner pockets to store a few neatly folded bills and coin. 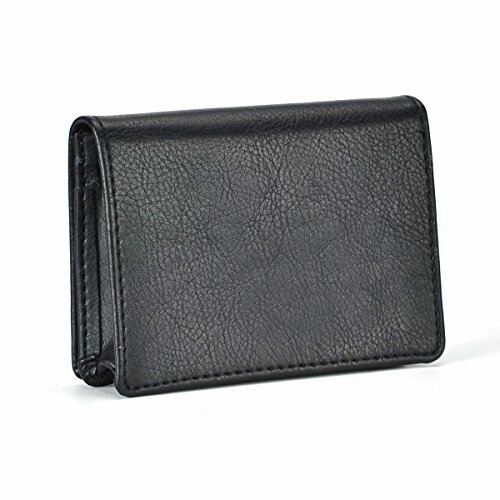 Slim card case wallets combine minimalism, with classic style. 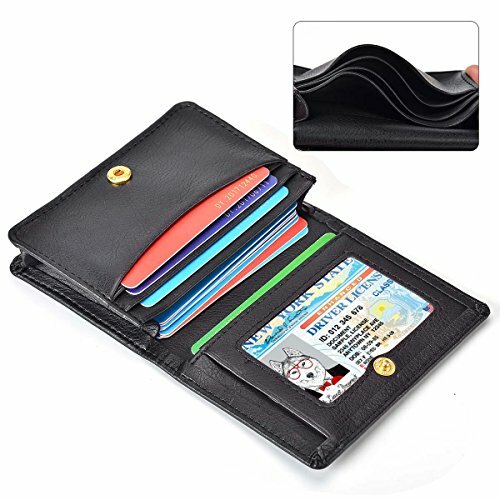 They are best for carrying a few bills and up to 4 cards. 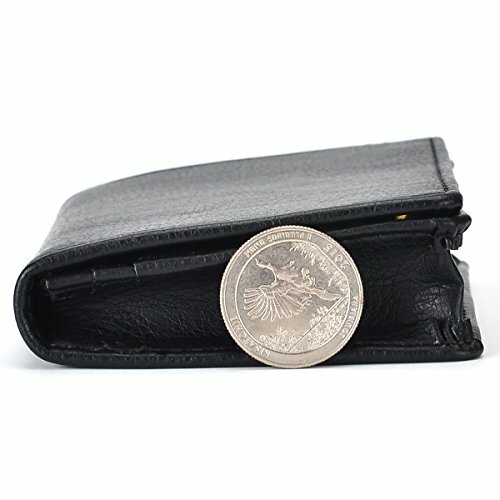 If you have change, consider using our leather change purse. 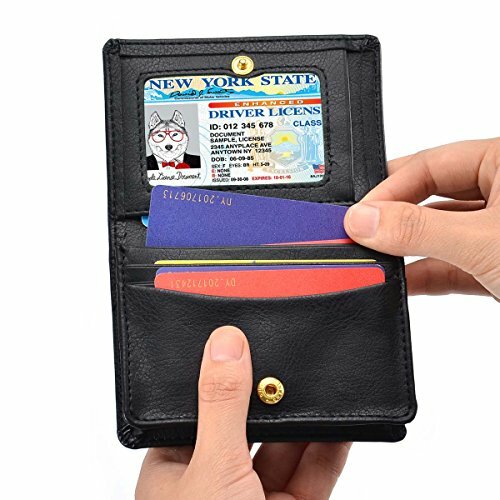 - ID window can hold your driver's license and photo.